Today, most money is credit money, created by commercial banks. While credit can finance innovation, excessive credit can lead to boom/bust cycles, such as the recent financial crisis. This highlights how the organization of our monetary system is crucial to stability. One way to achieve this is by separating the unit of account from the medium of exchange and in pre-modern Europe, such a separation existed. 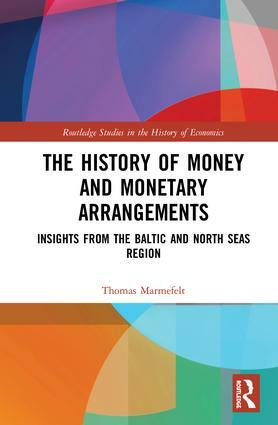 This new volume examines this idea of monetary separation and this history of monetary arrangements in the North and Baltic Seas region, from the Hanseatic League onwards. This book provides a theoretical analysis of four historical cases in the Baltic and North Seas region, with a view to examining evolution of monetary arrangements from a new monetary economics perspective. Since the objective exhange value of money (its purchasing power), reflects subjective individual valuations of commodities, the author assesses these historical cases by means of exchange rates. Using theories from new monetary economics , the book explores how the units of account and their media of exchange evolved as social conventions, and offers new insight into the separation between the two. Through this exploration, it puts forward that money is a social institution, a clearing device for the settlement of accounts, and so the value of money, or a separate unit of account, ultimately results from the size of its network of users. The History of Money and Monetary Arrangements offers a highly original new insight into monetary arrangments as an evolutionary process. It will be of great interest to an international audience of scholars and students, including those with an interest in economic history, evolutionary economics and new monetary economics. Thomas Marmefelt is Associate Professor of Economics at the University of Södertörn, Sweden, and Adjunct Professor at Åbo Akademi University, Finland. As both an economist and historian, his focus on evolutionary economics emerged from his aim to combine these disciplines.